For the last 20 years I’ve been pretty paranoid about backups. While my approach has changed over the years, one constant is that losing data is disastrous. I started with manual backups to floppy disks, then to Jaz disks where I’d rotate disks and store one at my parents’ house, then moved to burning DVDs that I’d put in a safe deposit box. These days my routine is more refined: I use a modified 3-2-1 strategy to protect my data. If you’re not familiar with the 3-2-1 strategy, it is to have 3 copies of your data, on 2 different media, with 1 off-site backup. attached to the Mac Pro with four 6 TB drives; 2 are dedicated to backups. The drives are arranged in JBOD. that I move between the Mac Pro and my wife’s MacBook Pro for backing up to the bare drives. Carbon Copy Cloner. I used SuperDuper! for many years, but switched last fall because CCC has more features that work in my current strategy. SuperDuper! is a great product for cloning drives and has some features that CCC doesn’t have. My wife and I each have iCloud accounts with extra storage mainly to keep copies of our photos. Not only are the photos in iCloud, but they are synced to our MacBook Pros which are then backed up. Each of the machines in my house backs up to Time Machine. My MacBook Pro and my wife’s MacBook Pro do this over the network to my Mac Pro acting as a server. The Mac Pro does a local Time Machine backup to the Akitio. I don’t consider a network Time Machine backup to be a primary backup as the disc image that Time Machine creates seems to get corrupted far too often. I have no idea why, but it is a thorn in my side. Time Machine, however, has saved data on more than one occasion. Every day both of the laptops are set to backup their home directories using Carbon Copy Cloner to a disc image residing on the Mac Pro. The disc image is temporary storage, but an extra copy just in case. Every day the disc images from the home directories are backed up to a folder on a different drive on the Mac Pro. This takes the files out of the disc image. Every day my accounting data and my Paperless libraries are copied to iCloud Drive on my MacBook Pro. 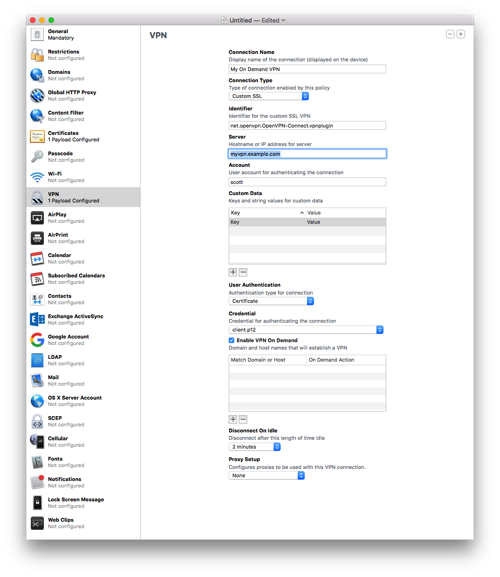 Since my Mac Pro is also connected to iCloud, this has the advantage of copying the data to the Mac Pro and keeping extra backups. A full backup of the Mac Pro is done daily using Carbon Copy Cloner to a partition on one of the Akitio’s drives. Each week I use a bare hard drive and the hard drive dock to make a full copy of each computer. This is a manual process, but easy to do. Carbon Copy Cloner is set to backup on connect. My source code for work and some of my projects is stored on github.com or bitbucket.org. While my setup isn’t the simplest or least expensive, I don’t worry about losing data. Of course there are failure points in this setup but in general most of my data will be preserved in case of some type of data disaster. Recently someone sent me a link to a video about creating a relatively inexpensive battery pack that recharges using solar panels. While I’m not sure I’d trust the way that it was made, in theory it sounds like a great way to deliver emergency power to someone in need. With more and more large scale natural disasters, being able to rapidly deploy emergency power is vital to helping people get back on their feet. While governments and companies are building ways to help a large number of people at once, I think the concept of having personal portable power for any emergency is something worth considering. I’ve started looking at systems that I could use and GoalZero makes a number of systems that can provide adequate power in an emergency and recharge using solar. The systems, however, are just a tad too expensive for me to purchase right now. I could see myself getting one of the 400W units as it could power vital electronics in an emergency; vital being cell phone (if it even worked), portable radio, recharge flashlights (my flashlights pretty much all recharge via USB), and maybe a laptop to keep in touch. 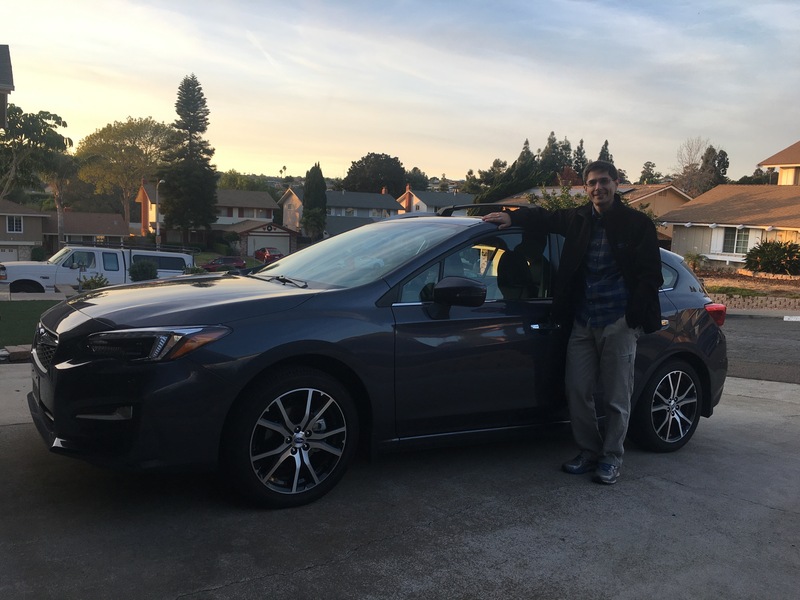 Of course, I’m sure I’ll kick myself if I need it and I was too cheap to purchase it, but for now I’m just going to leave it on the nice to have list. is usable, but hard to program and not the best radio. I’ve decided that I want to get a handheld (VHF/UHF) radio as well as a base station radio that does HF/VHF/UHF. The base station radios that do HF/VHF/UHF have been referred to as “shack in the box” and don’t perform as well as standalone HF and VHF/UHF radios, but for starting out I’m fine with the limitations. Compact as I have limited space on my desk. Has to do a digital mode. With that list, it helped me narrow down the choices. I’ve asked a few people and I’ve gotten different answers on what to get. All say to check for used equipment which is a great suggestion. In looking at the Kenwood options, they have one current radio, the TS-2000 to consider. Unfortunately it only meets two criteria and that is made by one of the big 3 and is a HF/VHF/UHF radio. Moving onto Yaesu…Yaesu’s digital mode is System Fusion which seems proprietary to me (more so than D-Star and DMR though some argue that the encoder for D-Star is proprietary) which discounts all their radios. That leaves me with Icom. I really like the looks of the Icom radios and they have one, the IC-7100 that meets my criteria. The radio was introduced in 2012, so it has been around awhile. Originally it cost about $1600 and now they are about $800 (with rebate). Looking for a used one shows that they are in a similar price range, so there is little reason to get a used one without a warranty. Picking a radio was a lot easier than I thought even though I have very little knowledge of radios. I figure that the IC-7100 will be a decent entry level radio that won’t break the bank. If anyone has thoughts about my choice, please drop me a comment! I was introduced to home automation at a young age when my father installed an X10 system hooked to our alarm system. 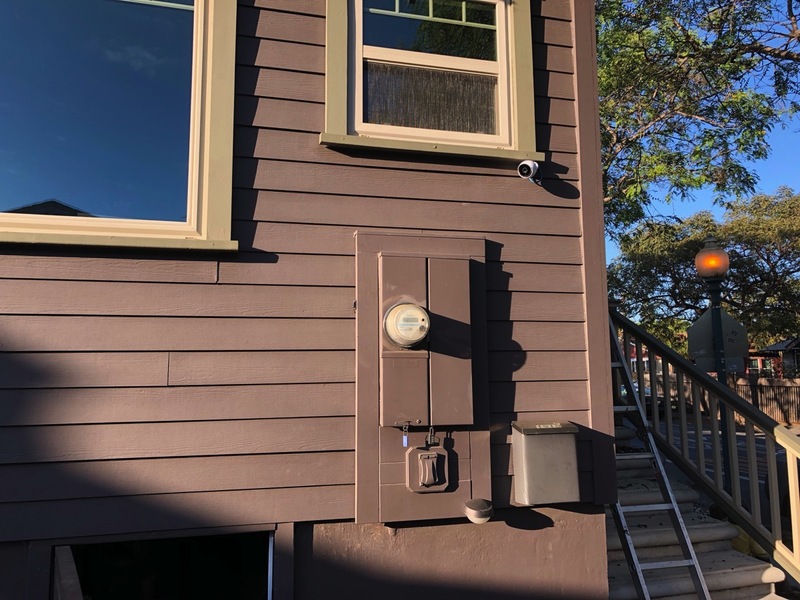 The basic gist of the automation was to turn on lights when we were away and to have all the lights in the house turn on if the alarm system activated. This was more than 30 years ago and was pretty simple in what he wanted to accomplish. 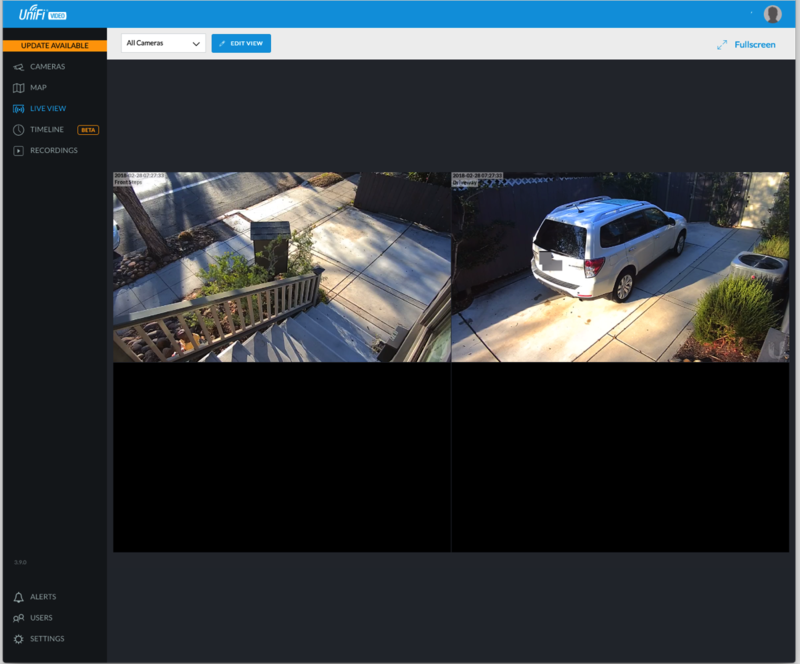 Since then I’ve dabbled with the X10 Firecacker hooked to a Linux box, but really didn’t get serious about home automation until about four and a half years ago when we purchased our current house. 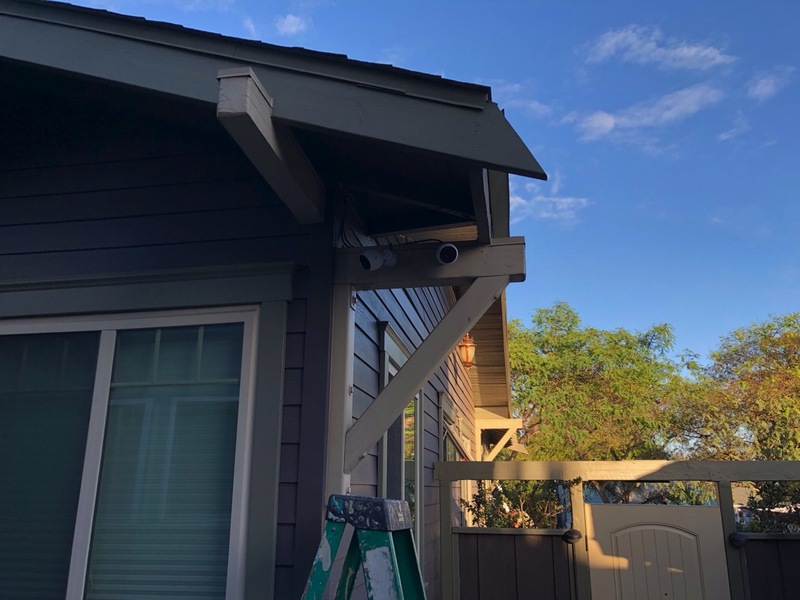 We were remodeling the house we purchased, so I used the opportunity to design an automation system and briefly wrote about it. Many lights, several outlets, and the thermostat in our house are using the ZWave protocol. This only covers part of the automation. 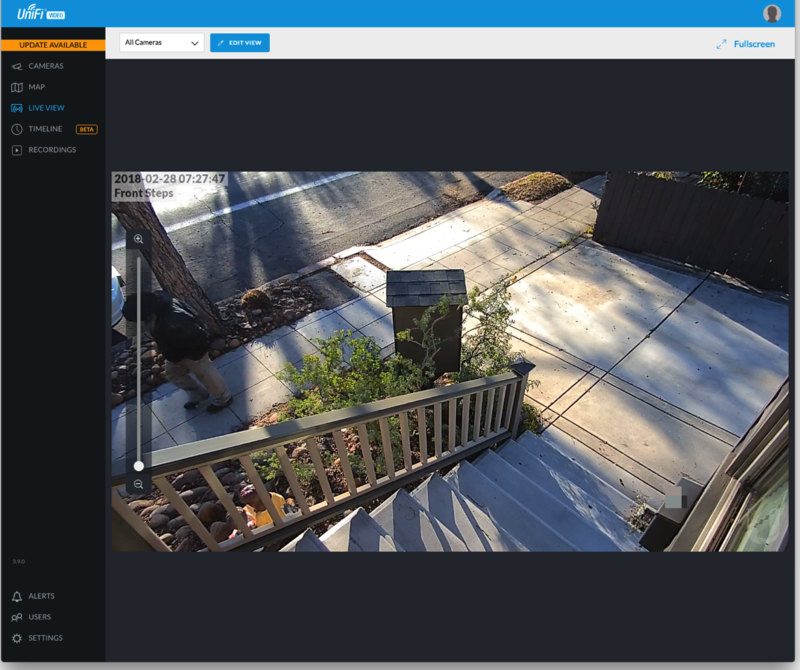 All of the sensors (motion, window, and door) are on a standard DSC security system hooked up with an Envisalink module. The brains of the system is a VeraEdge with several third party plugins. Out of the box, the VeraEdge won’t talk to the sensors and has very basic decision making capability, so the Program Logic Event Generator plugin is needed. In addition, I put together a plugin for controlling my Russound audio distribution units that works by sending commands to a PortServer TS 4 MEI and then to the Russound’s RS-232 serial ports. This whole system worked well for several years, but I wasn’t happy with the iOS app, so I created my own app a few years ago. two years ago, I was intrigued by the ability to control things by voice. My Vera (at the time) had no integration with the Echo, so I turned to a third party solution called HA Bridge by BWS Systems. It required more setup, but exposed scenes and devices so that they could be controlled by the Echo. (Vera now has native Echo support, but the way it is setup creates a delay in the response so I continue to use HA Bridge.) The new Routines in the Amazon Echo like adding one for “Good night” are an excellent addition, but has me scratching my head on if I should set that kind of thing up on the Echo, use the Vera natively, or use HA Bridge. so that it can easily sit on my IoT VLAN (I separate out IoT traffic from my main network). This automation setup has been about 5 years in the making and I’m sure I’m not completely done with it. I keep looking at ways to simplify it with different components like maybe a new hub or new switches. However, every time I start looking into it I realize that I’d lose functionality. My wife tolerates my hobby and kind of likes some of the aspects of it as she warms up to them. Changing anything would be a change for the worse. The more time and effort I put into my automation system, the more I realize that turnkey home automation is still a pipe dream. If someone has very simple needs then maybe he or she can get away with one system. The moment you want a choice in your components or want to do something that the major companies that do automation don’t want you to do, you have to either give up or cobble together a system. Feel free to ask questions about my system. I’m always open to ideas and will keep actively exploring ways to improve my life through automation! [UPDATE – 06 Feb 2019] With the latest release of the OpenVPN app, the identifier has changed from net.openvpn.OpenVPN-Connect.vpnplugin to net.openvpn.connect.app. Without this change, the VPN profile will NOT work.
. Much of the procedure is the same, but for completeness I’ll include all the steps here. 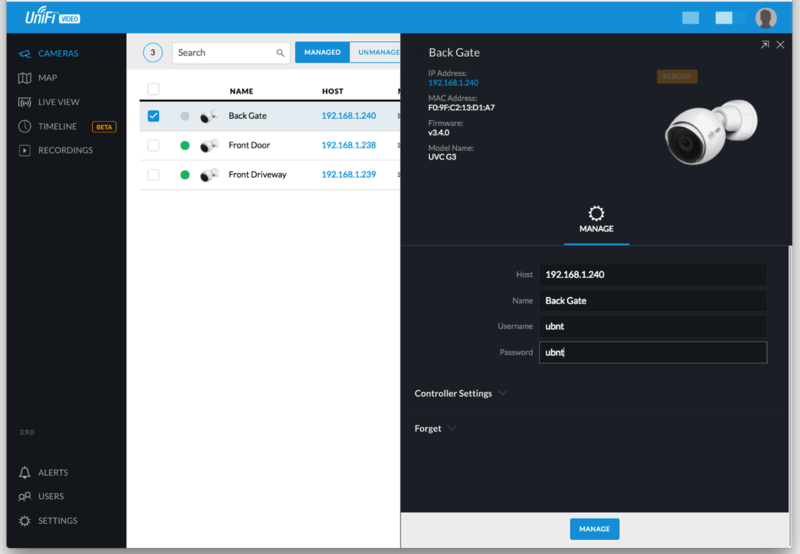 An on demand VPN will automatically fire up when you’re on certain WiFi networks and under certain circumstances. This is quite useful if you use unknown WiFi networks and are concerned about security (you should be!). This is a really long setup, but it is straightforward. If you’re intimidated by command lines and editing text files, this process is not for you! SSH into the USG. You’ll use the same username and password for connecting to the UniFi Controller. Setup a new certificate authority that will be used to create new client certificates for the VPN. Issue the following commands, one per line. Follow the prompts when you run the commands. Create a new server certificate and sign it. Follow the prompts when you run the commands; you’ll need to enter a password for the new request. We’ll remove it in another step. Copy the certificate authority key and certificate to an area of the router that will survive a firmware upgrade. Also copy the server certificate to the same place. Display the certificate authority certificate using cat /config/auth/cacert.pem and then copy it into BBEdit or another text editor on your local computer; save it to your hard drive. Remove the password on the private key for the server so that the VPN server can start automatically. Generate the Diffie-Hellman Paramters; this takes a long time. The next part is generating the client certificates. The recommendation is to have 1 client certificate per client. However, this would require me to have 1 for my iPad and 1 for my iPhone complicating setup. While having 1 certificate for both may not be recommended, it is the route I chose. When prompted, enter a password for the new key and then the last line will remove it. Don’t enter a challenge password. Display the certificate using cat client-cert.pem and past it into BBEdit and then saved it. Do the same thing with the key using cat client-key.pem and saved it to my Mac. 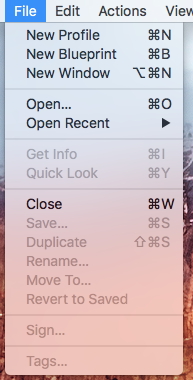 On my Mac, do the following in Terminal (make sure you’re in the same directory as where you saved the certificate and key). When exporting, set a password that you’ll use later. Note that the /config directory survives firmware upgrades. If you need to add client certificates later and the certificate authority you created is gone, you may have to start the setup over. Create a file called config.gateway.json and place it in the data directory for your UniFi Controller. I run my controller on a Mac and the path is ~/Library/Application Support/UniFi/data/sites/default. It should basically be as shown below. 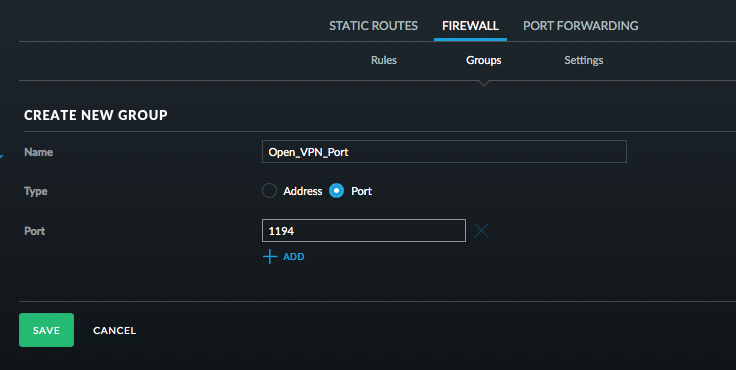 You’ll want to configure the OpenVPN network (10.0.5.0/24) if you use a different numbering scheme; this cannot be a network defined in the UniFi Controller. You should also change the DNS to servers you use. I don’t know if the push-route commands are absolutely necessary, but I put them in anyway as they appear to work. Force a reprovision of the USG by selecting the USG, then clicking on the Config tab. 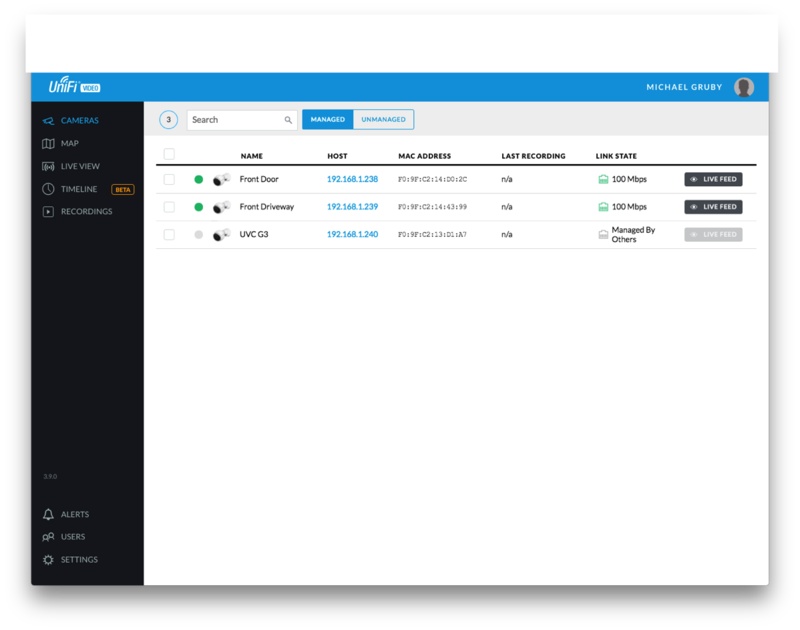 On the UniFi Controller, click on Settings and then Routing & Firewall. Click on Firewall at the top. Click Groups and add an OpenVPN port group. Switch over to Rules and setup an OpenVPN rule. Good work if you’ve followed along this far! 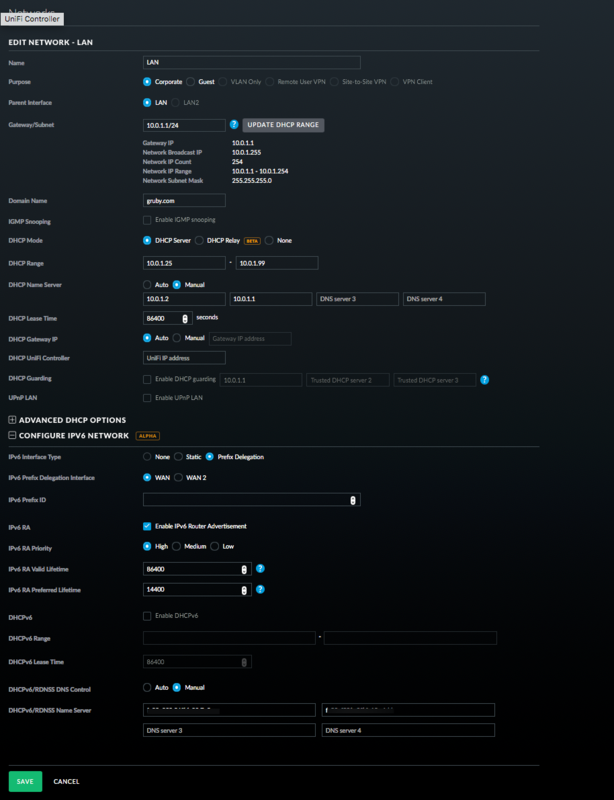 Next up is the client setup which has a bunch of steps as well. Locate the p12 file that you created on your Mac. 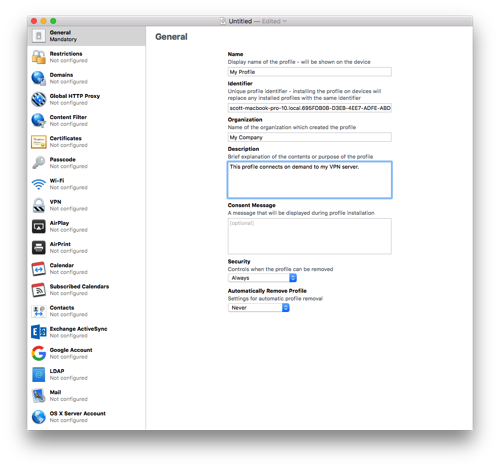 Download Apple Configurator from the Mac App Store. Select New Profile from the File menu. Fill out the General information for the profile. You can leave the Identifier as is. Click on Certificates and then press Configure. Select the .p12 file you created way back in the first part of the instructions. 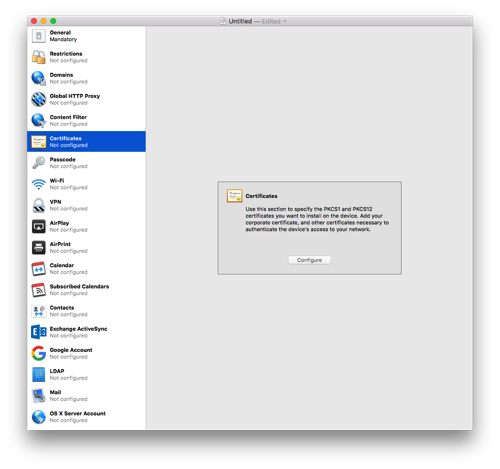 Give the certificate a name and enter the password you used when exporting the p12 file. Select the VPN section and click Configure. Select Custom SSL for the Connection Type. Enter the hostname for the Server. I recommend your Dynamic DNS hostname here. Enter some username for the account; it won’t be used. Enter a placeholder key/value pair. You’ll edit this by hand later. 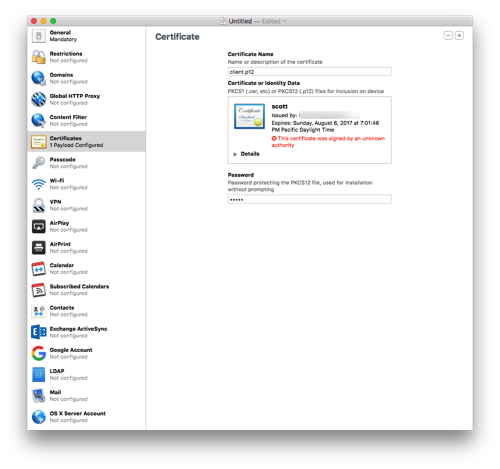 Select Certificate for User Authentication and then pick the certificate you added earlier. Enable VPN On Demand. You’ll hand edit this later as well. Select a Disconnect on Idle value; I selected Never. Save the profile to your Desktop (or somewhere else). Don’t sign it as signing it will prevent you from editing it by hand which is needed to properly setup the VPN On Demand. Configurator doesn’t handle all the options present in current iOS versions. Open the .mobileconfig file in BBEdit. BTW, if you haven’t bought BBEdit, you should definitely buy it. While the current version offers basic functionality for free, this is a tool that should always remain in your tool belt. Look at the section called VPN. Mine is basically below. You’ll need to change a few entries. Change the PayloadCertificateUUID to whatever is already in your config file. Change the vpn.example.com references to your VPN address. For the section that starts with BEGIN CERTIFICATE for the ca, find the cacert.pem that you saved to your hard drive. Open that in BBEdit and remove all the returns in the file. After the first line replace the return with \n. Before the last line put a \n and then another one after the line. You should end up with a big long line! For the cert, repeat the above using the client-cert.pem from earlier. For the key, repeat the above using the client-key.pem from earlier. The OnDemandRules are described in Apple’s documentation. 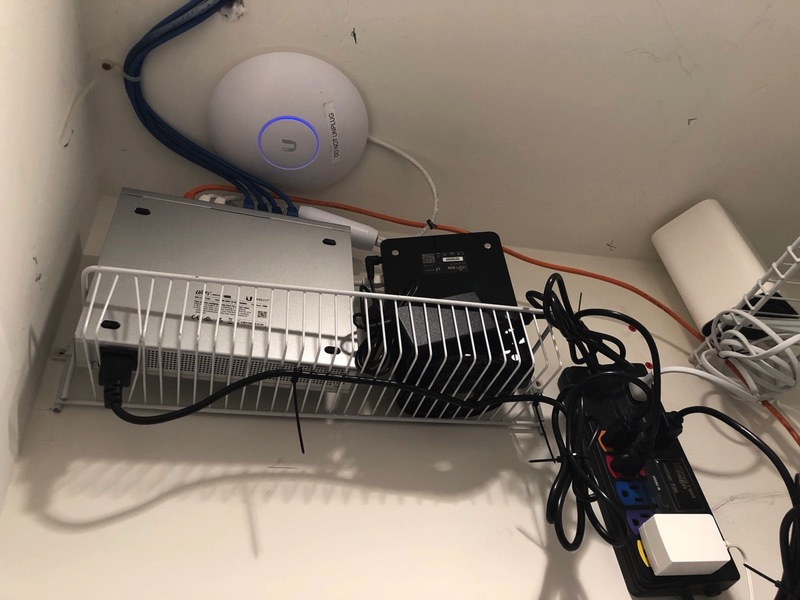 My setup basically says that if I’m on a trusted network, disconnect the VPN. When on cellular, also disconnect the VPN (I trust the cellular network for now). If I’m on any other network, connect the VPN. 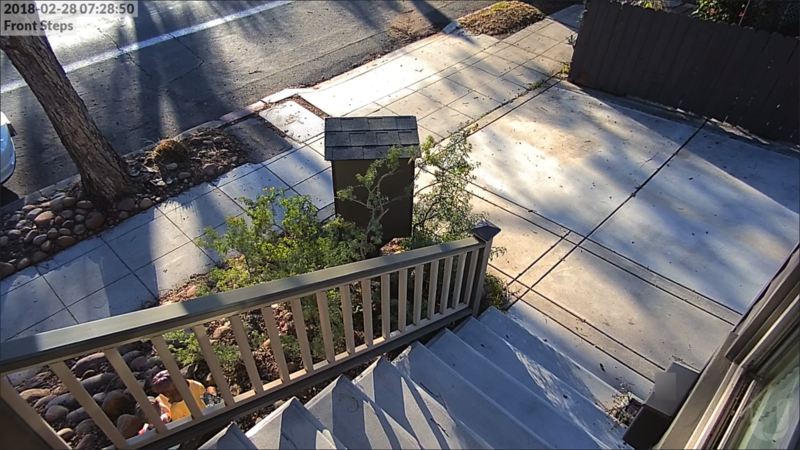 The last item just falls through, but I suspect it will never get there. In my example, change the names of the trusted SSIDs. 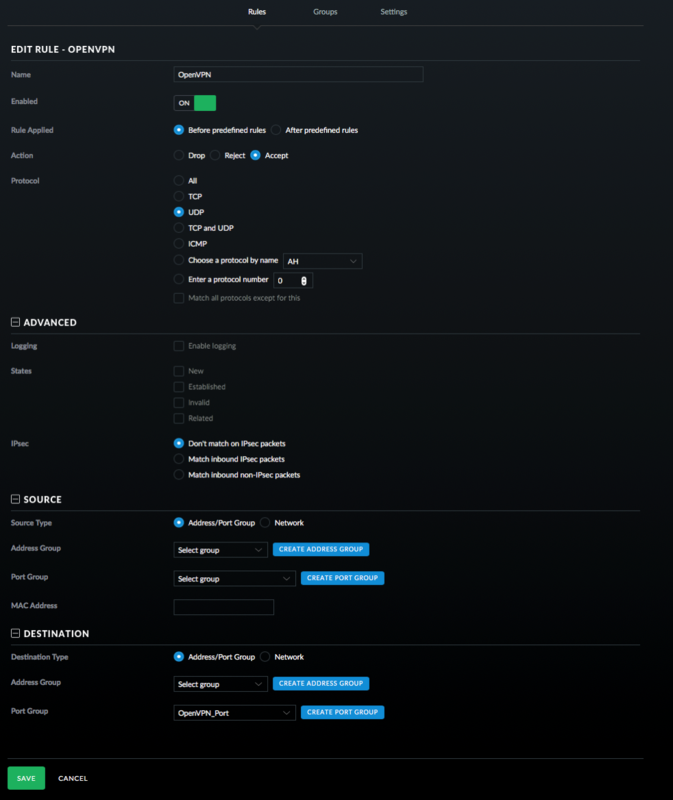 The VendorConfig section are the OpenVPN options that should match the server. Transfer the .mobileconfig file to your iOS device. I drop the file on AirDrop to my devices. If the formatting of the file is correct, the iOS device will ask you to install the file. In the VPN section in iOS Settings, Connect and cross your fingers. That’s it! Now when you wonder onto an unknown WiFi network, the VPN should automatically connect. It may take a few seconds for the connection to come up. If you’ve made it this far, congratulations! I spent a few days working on this and hopefully I captured all the steps. Please send me corrections or feedback. I’ve noticed that sometimes iOS connects to my VPN even when it is on my network. The On Demand connection is evaluated when the network changes and I suspect iOS gets confused and starts evaluating the On Demand rules prior to getting an SSID. The default certificates are good for 1 year. So you’ll need to renew then after a year. I’ll cross that bridge when I come to it. If the certificate is compromised, I don’t know how to do certificate revocations. Treat the certificate and keys just as if they were passwords. This goes for the .mobileconfig file as well. The mobileconfig file has the password to the p12 file in clear text and anyone with that file can connect to your VPN and access your network. The OnDemand rules are evaluated when the device changes networks and may take a few seconds to bring up the VPN. I always wait for the VPN icon to come up before doing anything on my device. OpenVPN runs on UDP port 1194 by default. You can configure it for TCP 443, but I won’t go into that because it seems like a pain and requires more changes. In the latest iOS version (11.2.x), if your VPN is on demand, you cannot manually connect with it. You have to go into iOS Settings->General->VPN, tap the Info button next to the VPN and turn off “Connect On Demand”. Savvy readers will notice that I put the client certificate as a p12 file in the mobileconfig file and put it in the OpenVPN specific settings. There appears to have been a change to the OpenVPN client on iOS where the p12 certificate no longer works. You may be able to remove the certificate from the configuration, but I left it. During my recent task of scanning the rest of the photos that I had lying around, I found a CD that my parents had made with some photos on it. They burned it using iPhoto 6 (burning a CD was a feature of iPhoto years ago). I thought that I’d just be able to put the CD in and open the library in Photos with all the metadata preserved. Unfortunately Photos couldn’t read the library, so I was stuck with a bunch of JPEGs that had no metadata on them and the file dates aren’t the actual dates of the pictures. While I was able to drag all the pictures into Photos, I really would have preferred that the metadata be attached to the photos. Apple has taken the approach that the original photos should not be modified and that any changes like the date or metadata should be stored in a database. This is great as long as the database doesn’t become corrupted and the application remains supported. I encountered the same type of issue when I was developing Paperless where I was allowing users to add a bunch of metadata to PDFs and I stored it in a database. 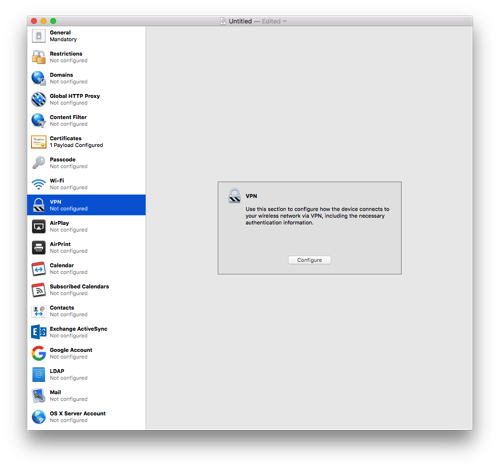 Unlike Apple, I realized pretty quickly that if something happened to the database, I stopped supporting the application, or a user wanted to switch to another application, I wanted users to still have all the metadata associated with the PDFs. I discovered that PDFs can have keywords attached to them and I used this mechanism to write the data directly into the PDFs. 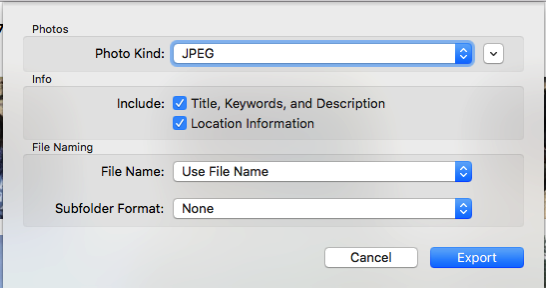 With Photos, if you drag a photo out of it and into the Finder, you get a copy of the original photo with none of the metadata that you enter in Photos attached to it. However, if you choose to export the photo there is an option to include the metadata which writes it as EXIF to the photo. This was the key to my concern about having the metadata in the photos themselves. I created a smart album which contained all photos that didn’t have a camera set on them (the assumption is that all photos that have the camera set in the EXIF have the correct photo date), exported all the photos, deleted the photos in Photos and re-imported them. Somewhat roundabout way to accomplish what I wanted, but my photos now have dates on them that will survive if Photos ever goes belly up.